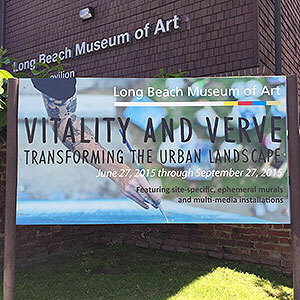 The Long Beach Museum of Art is set to open ‘Vitality and Verve: Transforming the Urban Landscape’ on June 26th. The exhibition will focus on current developments in the growing field of urban contemporary art. It will feature site-specific ephemeral murals and multi-media installations by established and emerging cutting-edge artists who will be demonstrating the skilled and nuanced application of their craft. The exhibition will run through September 27, 2015. ‘Vitality and Verve’ aims to illuminate the sensory value and powerful practice of these artists as they transform the urban landscape around them. The meticulous renderings, the hyper-realistic imagery and patterns and the gestural strokes assert the diversity in a fully immersive experience. Participating artists will include: Aaron Horkey, Alex Yanes, Andrew Schoultz, Audrey Kawasaki, Brendan Monroe, Brandon Shigeta, Cryptik, Esao Andrews, Greg ‘Craola’ Simkins, Hot Tea, James Bullough, Jeff Soto, John S. Culqui, Low Bros, Meggs, Nosego, Nychos, Saber, and Tristan Eaton. 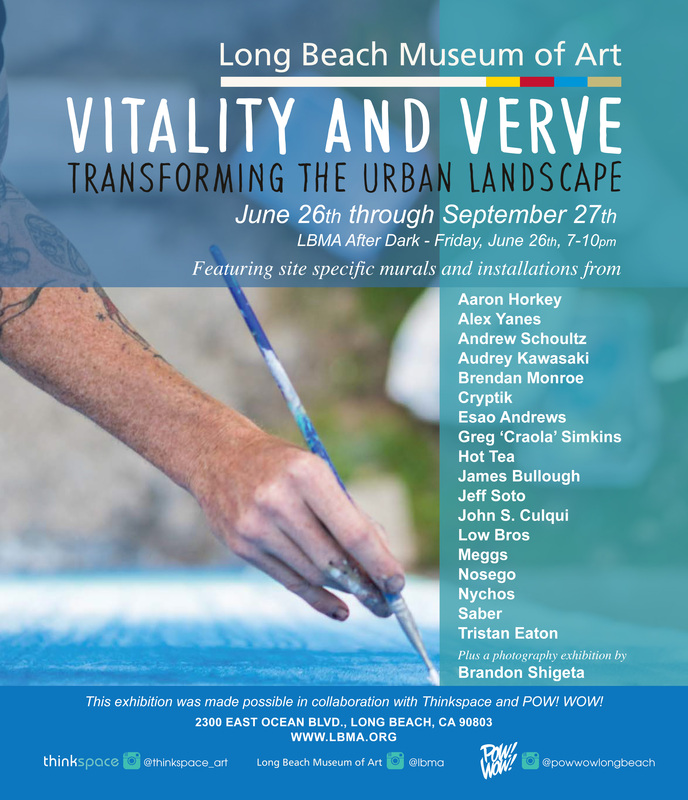 The ‘Vitality and Verve’ exhibition will be one of several locations in Long Beach this summer that will feature mural art. POW! WOW! Long Beach 2015, celebrates an inaugural art festival that will feature mural projects, gallery shows, and exciting programming – throughout downtown and nearby locations, which is slated to run the week of June 21 – June 28 featuring internationally renowned artists. ‘Vitality and Verve’ was made possible in collaboration with Thinkspace and Pow! Wow! In conjunction with the opening of the ‘Vitality and Verve’ exhibition, the museum will also be hosting its famed LBMA After Dark on Friday, June 26 from 7pm – 10pm located on the museum campus. Admission is $10 for non-members.